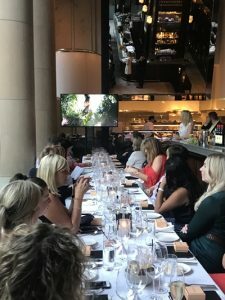 This week, Discover Los Angeles together with Delta Air Lines, Virgin Australia, West Hollywood Travel & Tourism Board and Universal Studios Hollywood, hosted its annual luxury travel agent event, inviting luxury travel agents to an evening of feasting in celebration of Thanksgiving. 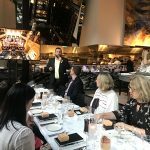 Taking place in Sydney on the 19th and Brisbane 21st of November, guests of the Sydney event were treated to an exclusive Thanksgiving menu specially designed by Virgin Australia’s on-board celebrity chef, Luke Mangan. Over three-courses, guests indulged in American classics such as roast turkey, sweet potato casserole, pumpkin pie and buttermilk sorbet. 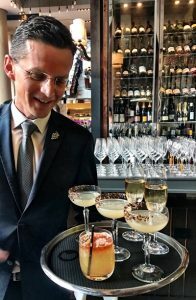 Craig Gibbons, Regional Director Australia & New Zealand for Discover Los Angeles said, “We’re thrilled to join our partners in hosting this event to celebrate Thanksgiving on Aussie soil, while giving agents a taste of the city’s bespoke luxury offerings. Luxury offerings vary throughout the city, from LAX with its upmarket Westfield offering at Tom Bradley International Terminal, or the high-end exclusive terminal, The Private Suite. Accommodation options span the city from the beach to Downtown, including the recently opened HotelFigueroa and NoMad LA, La Peer West Hollywood; and Westdrift Manhattan Beach, an Autograph Collection. Visitors can experience fine dining at Michelin-starred restaurants, through to shopping at Westfield Century City, and look forward to the highly-anticipated 2019 opening of the Academy Museum of Motion Pictures.